From a scientific and humanistic perspective, the therapeutic relationship is one of the most important factors for therapy to be effective. However, specific techniques can help our clients get more in touch with their inner experience or “felt sense”. More than once clients might feel too much stuck in their head, or on the other hand be overwhelmed by their emotions. Integrating one’s experience (physical, emotional, rational, behavioural, and spiritual) can be part of the healing process. After briefly introducing the cliented-centered approach and ways of fostering the therapeutic encounter, we will touch upon experiential methods such as chair work and focusing, and end with an open discussion among colleagues. 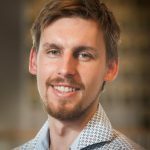 Patric Esters is a postgraduate trainee in integrative psychotherapy at the University of Antwerp and has a private practice for expat adults and teenagers in The Hague. He has been trained in Schema Therapy, EMDR, Compassion Cultivation, and holds an MSc in Child & Adolescent Psychology. He has worked for international clinics, schools and regularly gives guest lectures at universities. Patric is a TCK himself having a Spanish/German background. He is fluent in several languages which he also uses with his clients. For more information see www.mendingmind.com.